C'mon, take a shot! Don't be a weiner! 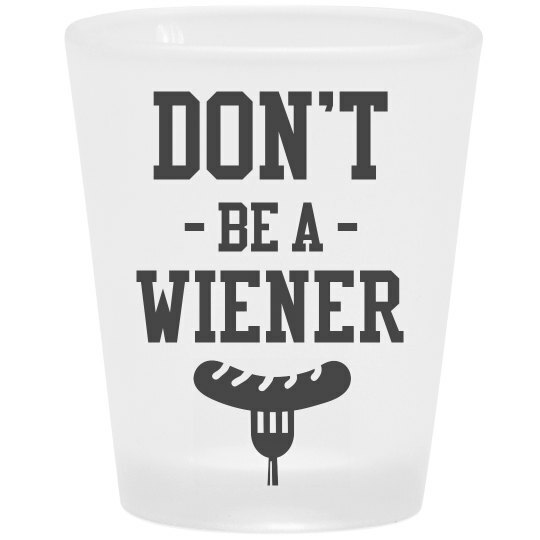 Snag this funny shot glass to bring with you to all those family cookouts and summer parties. Shots are where it's at. If you're not doing shots with the group, you're classified as a wiener.